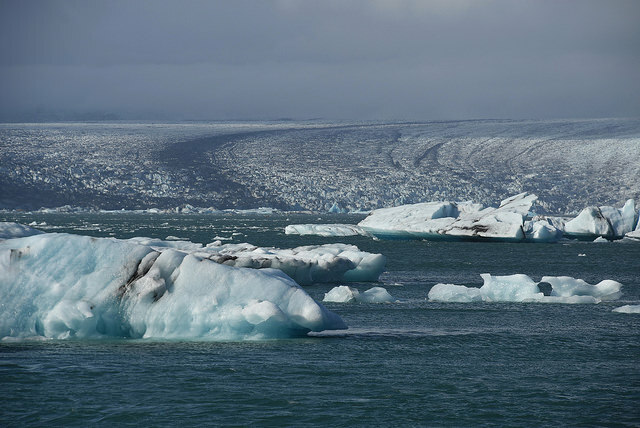 A great wall of ice to the north of the world (Fjallsárlón glacier lagoon). There are volcanoes and mountains and fields of ice, surrounded by a ring. The ring is called Þjóðvegur 1, otherwise known or Hringvegur... or, in English, simply Route One. 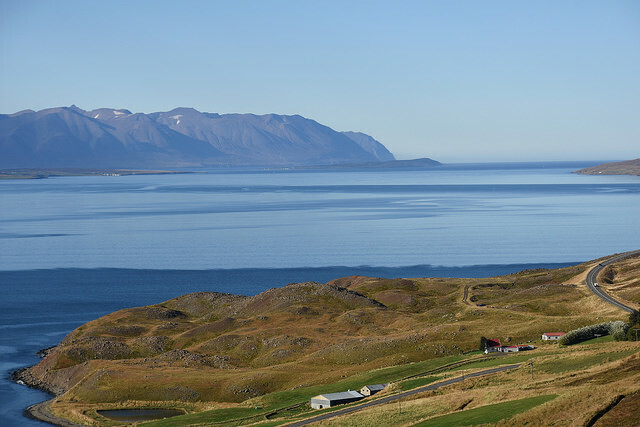 A road 1,332 kilometres long, it binds together the scattered towns and cities that house Iceland’s small population. Iceland--a country allegedly named by a Viking named Hrafna-Flóki, who sailed to the island in the company of three ravens (to help him find his way) in 865 AD. Iceland, home to the volcano of Eyjafjallajökull, which in 2010 erupted in a blast of heat and volcanic ash which fell upon the air industry of Europe like Mother Nature’s boot, harshly reminding human enterprise that it takes the Earth little effort to disrupt it. Iceland, called “Thule” by the ancient Greeks, a term for the furthest point north (sometimes also used to refer to Norway or Greenland). 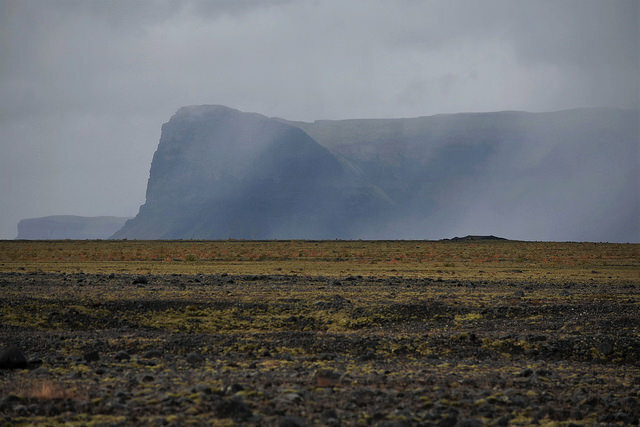 A country famous for producing the Sagas of the Icelanders, a glut of family histories from Viking society. Latterly, the island’s claim to storytelling fame is a little different: it’s a filming location for blockbuster TV show Game of Thrones, lending its suitably dramatic landscape to a myth from another world. It is a country well suited to the iconography of legend, with its brooding misty mountaintops, its sharp shrapnel cliffs, its embarrassing excess of waterfalls. There are places where the ground is black; vast swathes of blasted ash. There are places where grasses sweep red and amber. There are places where rivers snake through emerald alleys, which would make a perfect camping ground for rugged adventurers. There are, for tourists braving the ring road, certain perils to bear in mind. The costs, chiefly; Iceland is a notoriously expansive country, and the little fish inscribed on króna coins extract a hefty toll from visitors. Picnicking from supermarkets, and seeking out cheaper AirBnBs can be important savers for travellers. Though AirBnB has caused the country some concerns, contributing to a rise in local rental prices. The moment-to-moment climate is unpredictable; a local saying goes: “If you don´t like the weather, just wait five minutes.” Sheets of rain and mist may blot out natural wonders, while heavy winds make roadways perilous. Then, suddenly, the wind and rain is gone, replaced by striking sun and strafing clouds, the sky innocuously pretending to have always been that way. (My visit to Iceland took place in the summer, on the tail end of September. Winter would have been more challenging a time, with its short, cold days). Iceland’s best antidote for reality is its most famous; the glittering northern lights, best seen from October to March--bands of flickering green that straddle the sky. The aurora are the result of solar winds striking the Earth’s magnetosphere; the sun belching out charged particles which excite molecules in our atmosphere. A cosmic wonder to stir the imagination, and exactly the kind of thing that, in ages by, would have justly inspired thoughts of Gods and Magic. 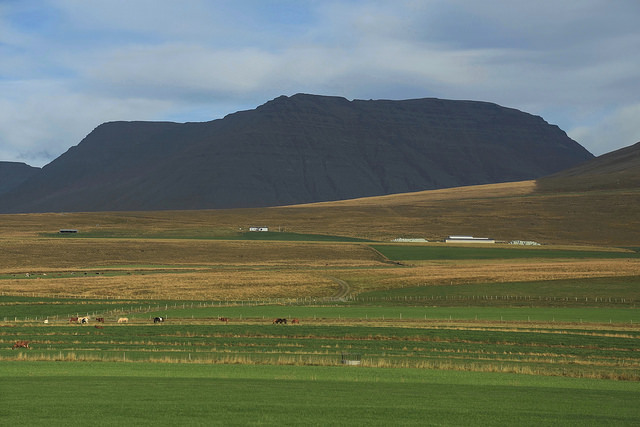 Iceland is an island of multitudes. So many fertile grounds for myth.